Have you always wanted to express yourself but you just would not like to share it with somebody? Then writing journal entries can be of great of help to you especially if you want your thoughts materialized into words. Plus, you do not have to be worried about having another person knowing about it. Journal entries are pieces of writing, which come individually, that will take and fill up a journal or even an ordinary notebook. It is in a journal entry where you will be able to express yourself, your personal growth, your interests, your opinions, and even the mundane things you have done and encountered in a day. Journal entries usually come in between 500–1000 words. A journal entry may not be connected or related to a previous or the following entry unless stated. Journal entries are considered as something that is private since it is where you can be able to write with no holds barred. When it comes to content, a journal can contain anything and everything. You can include a chronicle of what happened in your day, the summary of your deep thoughts, and you could even include your to-do tasks for the next day or tasks that you have already completed within the day. When you would decide to write journal entries for the first time, you may want to consider starting with writing even the most ordinary events that happened in your day, the secrets you want to spill but could not spill to others, and even your most random train of thoughts. You could also get assigned to write a journal entry for school, you may have to read the stated instructions properly as it could contain only the necessary items that you have to write for your journal entry assignment and that it could also save you some time from writing irrelevant content. Before you would step into the world of journal writing, you just have to have the will to write in the first place. Without the will and the desire to write a journal entry, you will surely not reach even to the half of your journal. You might get discouraged at first especially if you are not confident with your writing, but do not worry because you do not have to be a renowned author to start a journal. 1. Decide a comfortable space to write. There are two spaces to consider when writing a journal. First, you have to consider where you are going to sit when writing a journal and the second is where you should be writing your journal entries. For the first space, you have to decide on a place where you are at your most comfortable state that you would not be worrying that someone is standing behind you reading your journal entry. You would not want that, right? Additionally, you might want to remember some things that happened during your day and that you could not do so if there will be background noises and distractions as you write. For the second space, you have to decide on a writing space where you would be writing your journal entry. Do not write anywhere and choose a kind of writing space, be it a notebook or a journal, where you will be able to write comfortably as well. You could also opt for a digital journal where you can easily add, edit, or delete some parts easily without having to deal with the mess; plus, you could easily add other elements, such as photos, that could make your journal entry more detailed. 2. Reflect on your day and ask yourself questions. 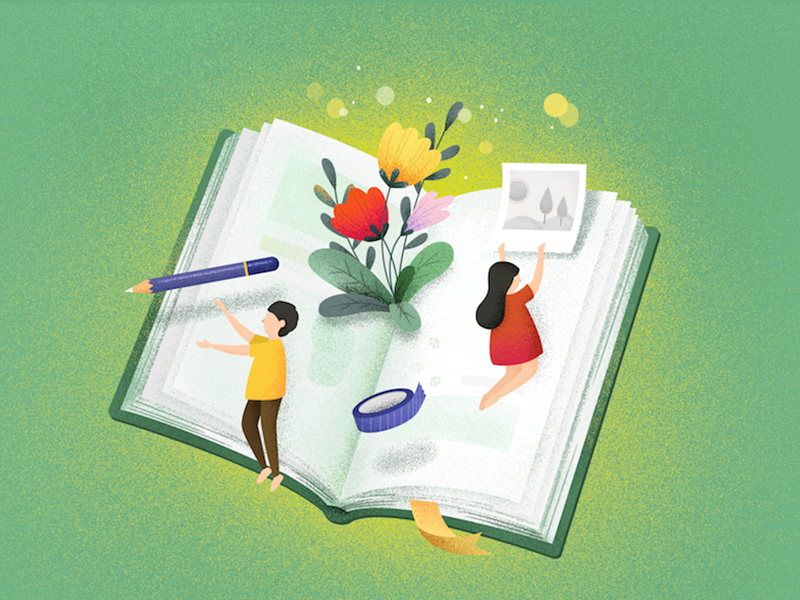 Once you have found a perfect place to write and a perfect writing space to write your journal entry on, you should now have to reflect on what happened during your day and what are the events that are journal-worthy for you. You do not have to write on this step. If you are a newbie at journal writing, do not be too hard on yourself and just write what you can manage to write since your journal entry can just be about anything you want. If you want to write down the moments in your day that you want to have a keepsake out of, you can totally do it even by just closing your eyes and reflecting on what happened throughout your day, including what you may have felt about it. If you find it hard to reflect, you can just start on basic questions that could help you generate content for your journal entry. You already have what you need so that only means that the only thing left to do is the actual writing of your journal entry. Again, if you are a beginner at writing journal entries, you can start with simple sentences that start with “I feel,” or “I think,” or “I wonder.” Also, do not be afraid to have a central topic for your journal entry and do not be afraid to exclude some parts of your day that you don’t feel recording, most especially if it is just too mundane and basic, such as taking a bath. Unless something remarkable happened during your bath, then you might find it important to write it down. Make sure that you make your journal a space where you can feel at your most comfortable state. However, if you are to write a journal for an assignment in one of your classes, be sure that you will be able to follow the instructions given by your teacher or professor. When you would get into writing your journal writing, there is a tendency that you might forget some things, this is why it is advised that you should go back and re-read your journal entry right after writing it. It is not really necessary for you to check whether grammar, especially the spelling and syntax, is done right and flawless, but if you see the need to edit it since it can affect the message you want to convey, then, by all means, do so. However, if it is a journal assignment, make sure that you would also check up on your grammar and syntax since your journal will be graded by your teacher. Additionally, add and enter any missing details on your journal entry once you notice it during your re-reading period. Write it down immediately for it may be difficult to try and remember about it the next time. Journal entry writing has no limits. You do not have to stick to words and long paragraphs if that bores you. You can make use of any visual material, such as an artwork or a photograph that would make your journal writing even more memorable. In your day, you might have gotten yourself into a conversation so striking you want to have a record of it and you can freely do so on your journal entry. If there was a significant moment that happened to you on that day, write it as a memory on your journal entry. When you find starting to write an entry journal difficult, you can always go these basic things to write and start from there. As we mentioned earlier in the article, setting a schedule is a great first step. Decide how many times you want to write and set a schedule. Whether it be once a day, or once a week, decide on a time you want to write and don’t skip it. Of all the things that have been written above, the only thing that you should always stick in your mind is to have fun while writing your first batch of journal entries. It is in having fun that you would just let go of anything that holds you back from writing what you want to write and just let your pen, your hand, and your thoughts do all the action. Journal entry writing is not a chore or a requirement (unless it’s a given assignment) that you should feel so much pressure from. Free yourself from doubts and just write.